· Fully Automatic and compact in size. food waste composting. has acquired a Liquid Food Composter (LFC) machine from Power Knot LLC to digest waste fish on site and save sending the waste to the landfill. 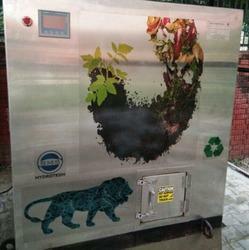 Features: Low cost per Kg of compost produced. 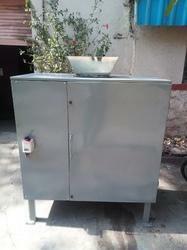 We have all kind of fully automatic composting machines from 25 kg per day to 1250kg per day . Compost turner is required to mix basic ingredients of compost uniformly. Compost turner makes stacks to ensure proper conditioning of the compost and proper decomposition of all the ingredients. This technology and solution based on heating mechanism for volume reduction and de-composting though “thermophilic enzymes.